The cool, crisp air of yet another onset of winter has finally arrived. While it would be easy to light the fireplace and snuggle up inside for another long, cold winter— rather than retreat inside, we should actually be spending more time outdoors. Walking, hiking, playing, skiing, snowboarding, learning, exploring discovering and even… napping. Yes, napping. Outside. 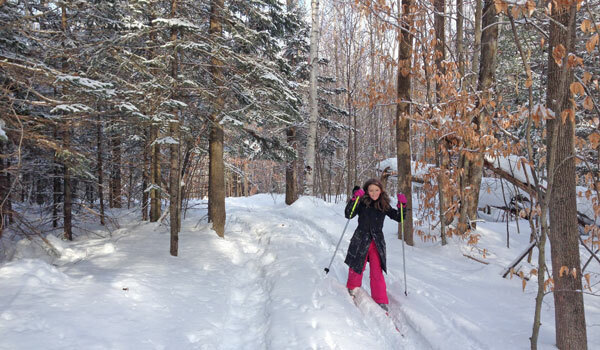 Nordic (or Cross Country) Skiing is a great way to have fun, get fit and actually enjoy winter. While it is easy to think that winter is long, and cold and hard to endure year after year, it really is more of a state of mind than a set of circumstances we have to endure. When you take the time to actively engage in activities that force you to dress up and get outside and move around for extended periods of time, winter can actually be really fun. If you set your mind to it, it becomes a great opportunity to seek out and find ways and things to do that build resilience, shorten the season, and put you in great shape emotionally, physically and mentally. 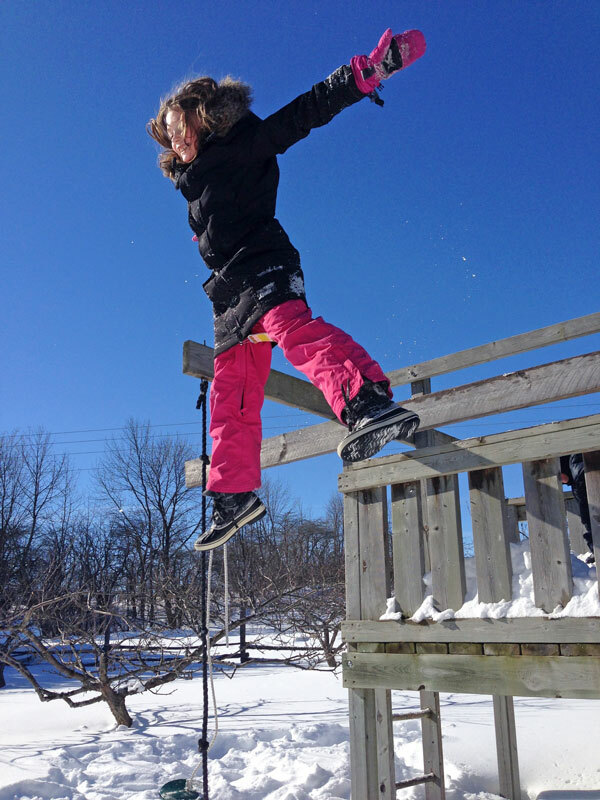 Outdoor learning is alive and well in Sweden – a priority even. The team at the Swedish think tank Movium has been able to advance a national agenda in support of outdoor play and learning, mobility and independence. 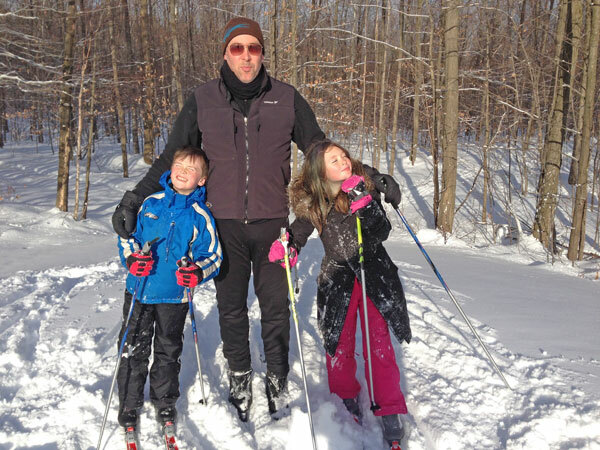 Get the kids outside skiing early on in life and you will give them a gift that lasts a lifetime. Here in Canada, we see signs of movement in that direction. More schools and school boards are encouraging play and learning outside and creating school grounds that are healthy for kids living in cities. Running, jumping and all around tomfoolery in the powdery snow is a great way to burn off steam and get plenty of fresh air. Dress them up right and they won’t even notice its cold outside. 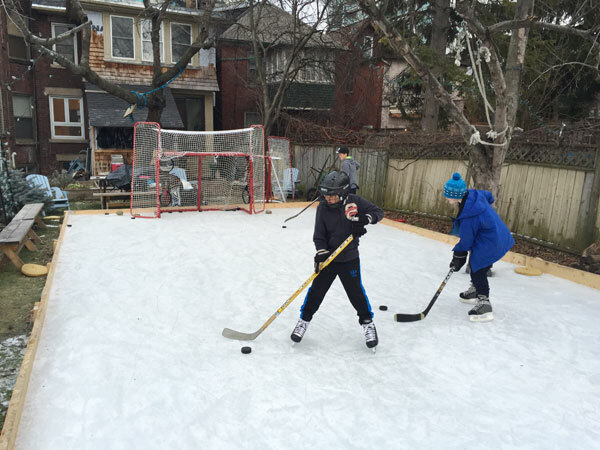 Back Yard Hockey rinks are a bit of work in the fall, winter and spring, but well worth the effort if you can get a cold enough winter in your area. Here in Toronto, it is hard to believe we can actually do this in the city, but it is possible if you roll up your sleeves and are dedicated to the cause. What are you waiting for? 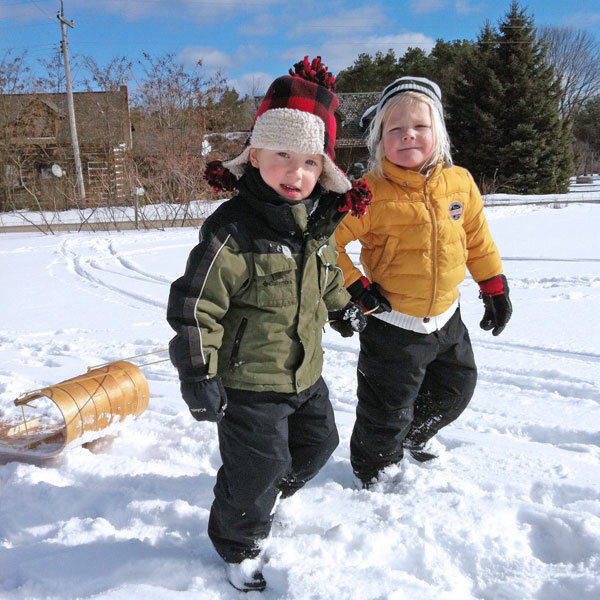 Bundle up the kids and get outside!